When your stomach starts to growl, seek out one of Oakton, Virginia’s best restaurants. There’s no shortage of exceptional dining destinations in Oakton, and these establishments can be found just 16 miles west of Washington, DC. While there are many great dining options throughout Oakton, VA, these top restaurants made our list. Old Peking Restaurant on Chain Bridge Road in Oakton is one of the area’s top Chinese eateries. Stop in and order delicious appetizers, freshly-made soups, or other delectable menu items. The restaurant also offers spiced-to-order entrees. 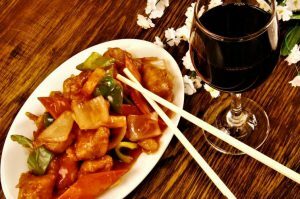 The upscale establishment specializes in Hunan and Szechuan cuisine with a full carryout, lunch, and dinner menu. The restaurant is open seven days a week and walk-ins are welcome. For rolls, noodles, and other Japanese staples, head to Yoki Sushi. The traditional sushi house in Hunter Mill Plaza offers a lunch and dinner menu, as well as Yoko Boat Special and Sushi a La Carte. Enjoy appetizing dishes such as Chicken Katsu, Oyako Don, and Shrimp Yakisoba. Want to ensure your spot when you visit Yoki Sushi? Call the restaurant ahead of time to make a reservation for your group. For authentic Italian cuisine in a laidback atmosphere try Luciano Italian Restaurant & Pizzeria. 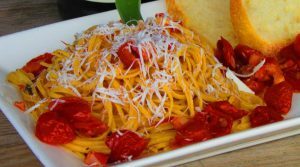 At Luciano’s, the bread is made from scratch daily and the tomatoes and spaghetti are imported for a real Italian taste. Enjoy pizza by the slice or by the pie, with options such as white pizza, Sicilian, or pizzas with premium toppings. The restaurant also offers catering to accommodate all of your local parties and events. Enjoy New York style pizza at home or in the upscale dining room. For the best Middle Eastern comfort food in the area, dine at Tigris Grill on Chain Bridge Road. The menu includes a wide range of options, including appetizers, salads, seafood, veggies, and a diverse selection of entrees. Tigris Grill is well-known for their tasty kabobs, including their popular Falafel which is made from their secret recipe. Order online and ask for delivery or stop into Tigris Grill for a freshly-made meal. Famous Dave’s Bar-B-Que is the place to go for late night food and happy hour drinks. The popular outlet serves up wood-smoked meats and sides in the laidback American west-themed space. Each piece of meat is hand-rubbed with a custom blend of spices and cooked for many hours to extract their natural flavors. Top them with a layer of the restaurant’s original sauces and you’ll leave with a full stomach and fully satisfied. Residents in Oakton, Virginia are no strangers to good food. Nearby restaurants, cafes, and bakeries offer some of the best fare in the region and with so many choices, you’re sure to find something you like. Whether you’re in the mood for good old fashioned comfort food or want to sample dishes from other countries and cultures, there’s plenty of great-tasting grub to go around.